Do you see me? I mean really see me? Bulimia. What does it look like? Frail? White? Dark circles? Sunken cheeks? Blond hair? Blue eyes? Privilege? Private schools? Nope, not this time. Bulimia was me. A beautiful, black, intelligent, charismatic mother, sister, friend, and entrepreneur that grew up in the inner city, went to a public city school and was raised in single parent household. Bulimia looked like me. There’s a pervasive silence about eating disorders in the Black community that reinforces women and men with eating disorders living in secrecy. I’ve encountered many Black people in and out of the medical profession who were baffled by my reality that I was bulimic. There’s always a jaw-dropping reaction when I share my story about Bulimia to those in my community. I have learned over the years that this reaction is largely influenced by what people see in the media regarding eating disorders. People who look like me are not usually portrayed. Because of the messages these images and stories send, as a community, it makes it challenging to identify with the stories we’ve seen and heard. 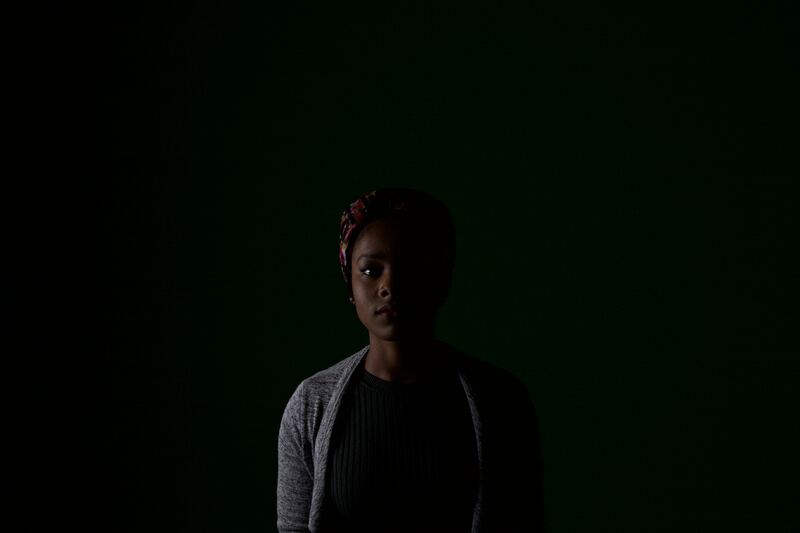 I write this article for two reasons: to share one example of how an eating disorder can show up in the life of an African American; and to dispel stigma by shining a light in a dark place through education and hope that recovery is possible. The eating disorder I’m continually in recovery from is Bulimia. In early grade school, we all learned about cause and effect in science class. Newton taught us, “for every action, there is an equal and opposite reaction.” Eating disorders are reactions to things that cannot be seen but felt. Let’s say for example that you grew up in a household with a mother who worked long hours to provide and a father who was unavailable because he had an addiction. In your early childhood, you were sexually abused, but it didn’t feel safe to talk about it. You felt abandoned, unheard, unprotected, shameful, dismissed, and lonely. All these feelings lived inside you, and as you got older, they continued to persist. You repeatedly tried to manage them but still struggled to talk about what happened. It was hard to share your story, and when you tried to share it, it was hard to find someone who would truly listen. To deal with all these emotions as they continued to intensify, you ate. When you ate, you noticed some relief, so you ate some more to continue feeling okay. However, guilt and shame from overeating would quickly overwhelm your thoughts and feelings. You would feel an immediate sense of urgency to make those feelings go away. As a quick fix, you would learn that purging what you just ate would make the shame and the guilt go away. This is the cycle of Bulimia. Bulimia is not limited to binging and purging food alone but ultimately is present to help a person find relief from their emotional overwhelm and some semblance of control. All the experiences that were not dealt with or expressed contributed to the binging and purging. The years of emotional upheaval and numbing pain from childhood was the catalyst for the eating disorder. Indeed, for every action, there is an equal or opposite reaction, and these reactions happen in the African-American community as often as they happen in every other community. There’s another unseen, felt reality happening within the mental space of one with an eating disorder. Have you ever looked in the mirror and didn’t like the person you saw looking back at you? Have you ever believed your body was made “wrong” and were willing to do anything to get it “right?” Have you ever found yourself chasing the latest diet, obsessing over the number on the scale, consistently taking laxatives to flush your body out, fasting on a ritualistic basis, or believing if you do not exercise your life would fall apart? Contrary to popular belief, these thoughts and feelings are not limited to one gender, sexuality, socioeconomic status, religion, race, class, educational background, title, income bracket, or zip code. No one has immunity. We can all be susceptible to the insidiousness of the debilitating beliefs, thoughts, and feelings that fuel the behavior of someone with an eating disorder because we are all wired to find relief from our distress one way or another. I’ve experienced many Black women who display the symptoms of someone with an eating disorder, but to my surprise, they could not identify their behavior as such. For example, I have encountered people who ritualistically fast on a frequent basis, but the behavior is not viewed as problematic because of the religious beliefs associated with it. There are also those whom I’ve encountered who are on the latest diet and have tried just about every diet pill and program they can think of but do not associate their behavior with disordered eating or, at a minimum, a distorted view of food and/or their bodies. Let me not forget the people I meet that binge eat or engage in emotional eating. This group experiences intense emotions, but instead of communicating what and how they feel they try to escape the feel with food. They try to eat it away, but to their dismay, the feelings remain. I believe Binge Eating Disorder largely goes unnoticed in the Black community. The shocking reality is we have normalized our dysfunction surrounding eating disorders in the African-American community because we have not been able to identify with the person shown in the media that has an eating disorder. I am Jamella Stroud, a beautiful, Black, intelligent, charismatic mother, sister, friend, business coach, entrepreneur, author, and speaker, who grew up in the inner city, went to a public city school, and was raised in a single parent household. Bulimia did not discriminate against me because of any of those traits. It resided within every corner and crevice of my mind, body, soul, and spirit. I actively choose to no longer normalize my dysfunction and dismiss the stigma of African Americans experiencing eating disorders. I know I’m not alone, and I want to show others they aren’t either. We can rage war on eating disorders together by having more open and honest conversations. Jamella Stroud, author of Bulimic to Believer, resides in Birmingham, Alabama. She is committed to challenging the stigma that exists around eating disorders, particularly in communities of color. To understand more about Jamella’s journey, you can pre-order her book by visiting this link: bit.ly/BulimictoBeliever. You are also welcome to meet Jamella at her book signing on August 12th, 2017 at 4:30 pm at the Grand Bohemian (2655 Lane Park Road, Mountain Brook, AL 35223). For more information or to contact Jamella directly, you can email her at: [email protected]. Never be afraid to ask for help. Magnolia Creek is here to help you before, during, and after treatment. Remember you are never alone. If you or a loved one is experiencing symptoms of an eating disorder, Magnolia Creek can offer support services. For more information or to answer questions, please contact our admissions team at 205-678-4373 or complete our contact form.